Our baby turned 30 last week. It’s been a rough road for her over the past year or two but she’s a survivor and I know in my heart she will come out on top and happy. She’s been tough and head-strong since day one and always presents an upbeat and positive attitude – if only on the outside some days. The photo I pulled out to use in these projects reminded me of that. When this picture was taken, it had been a rough week. She was so sick but still smiling and happy through it all – just taking it all in stride. 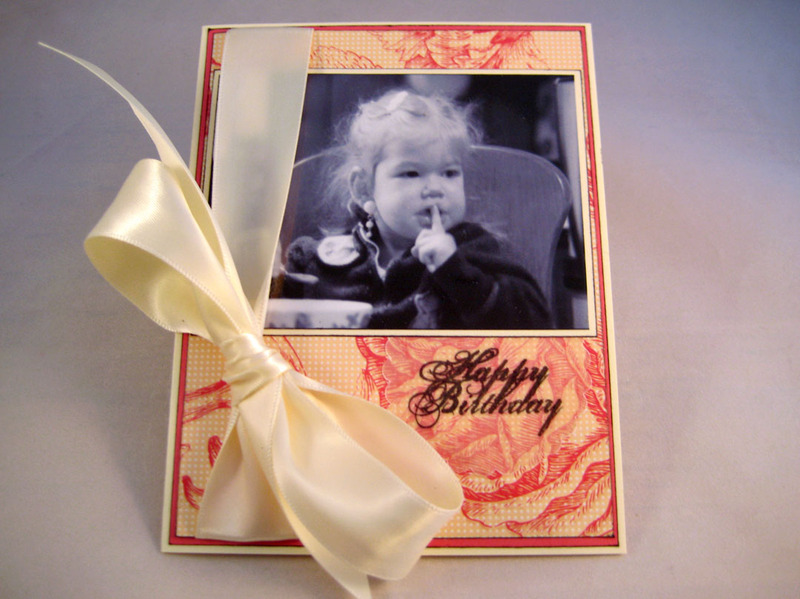 I had some projects due for Xyron – birthday and baby themes. The timing was perfect to work both those projects around Rachel and her birthday. For this card I started with a plain A2 card cutting a pattern and coordinated cardstock to use for the matting on the front and inked all the edges with Ranger’s Archival Pitch Black Ink. 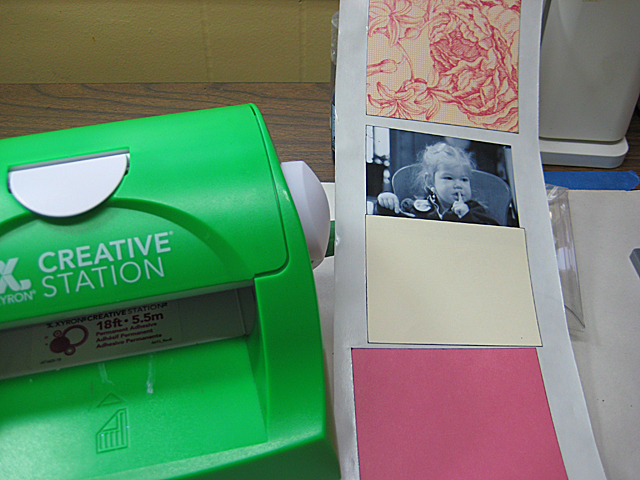 Then I ran all the paper pieces and photo through my Xyron 5″ Creative Station. 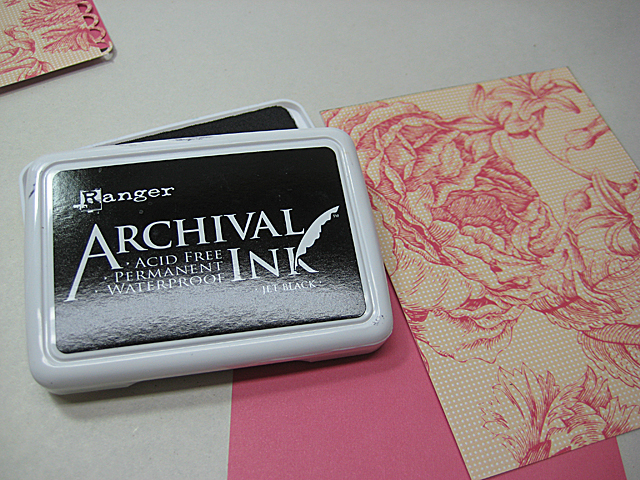 It is so quick-and-easy to assemble the card once the adhesive is on the back of each piece – just peel-and-stick! I used the same photo on a scrapbook layout as well. I have to admit, the layout isn’t my usual distressed style but I really like it. I started with the die-cut hearts (Sizzix Primitive Hearts), some burlap cut for the photo mat, coordinating yarn, a couple vintage white buttons, and some scrap lace. I cut the title from my Sizzix Go Slim alphabet die. I was able to process all these pieces through my Xyron Creatopia using the Stickz Fabric Adhesive at one time – love it! Once I peeled off the top cellophane layer all I had to do was peel-and-stick onto my background cardstock. I am so happy with the results of this layout and couldn’t believe just how quick-and-easy it was to put together using the Creatopia. It just makes me smile every time I pass by this layout on the table. I’m going to have to put away soon. 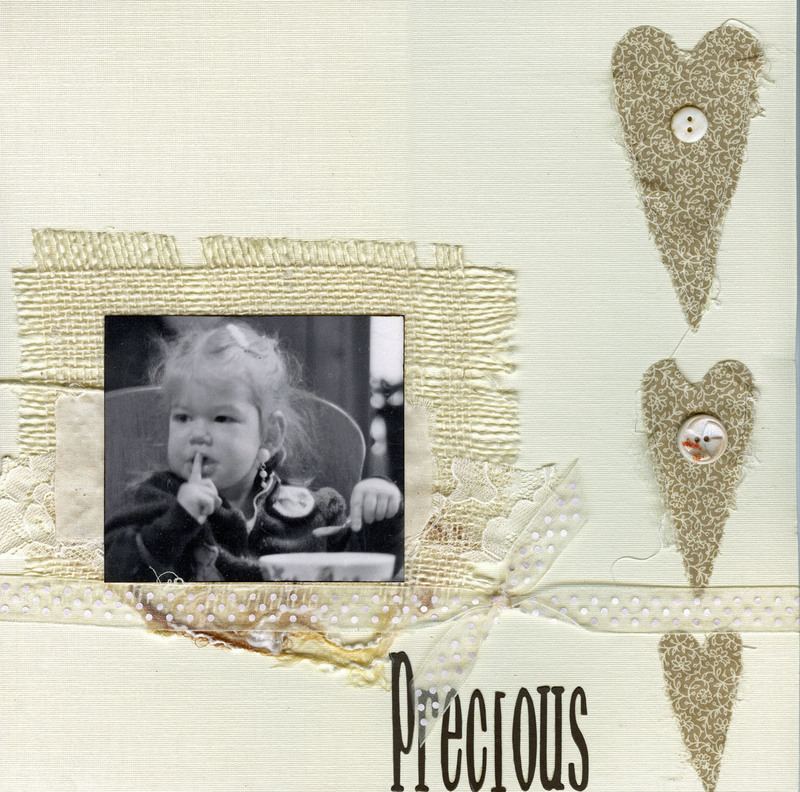 This layout is one piece of a three-piece collection centered around a baby theme. 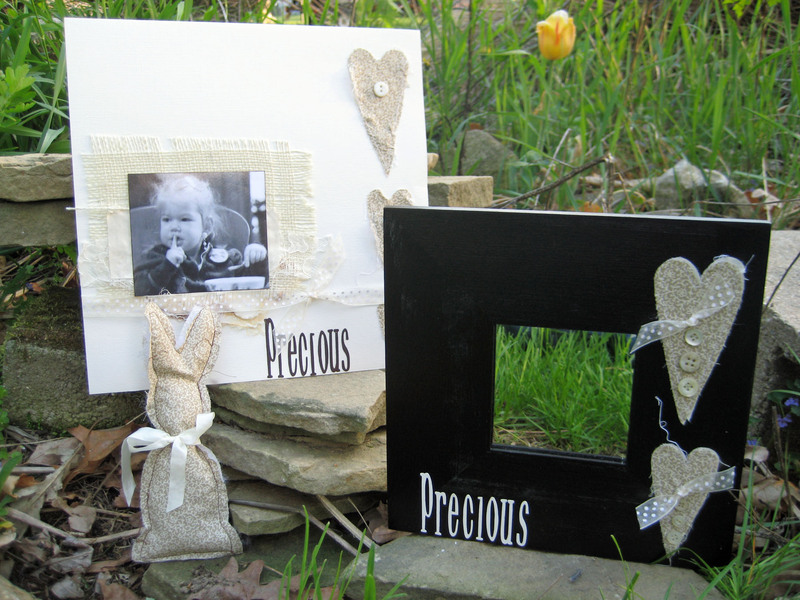 The other pieces include an adorable fabric bunny and a cute frame for baby’s room. 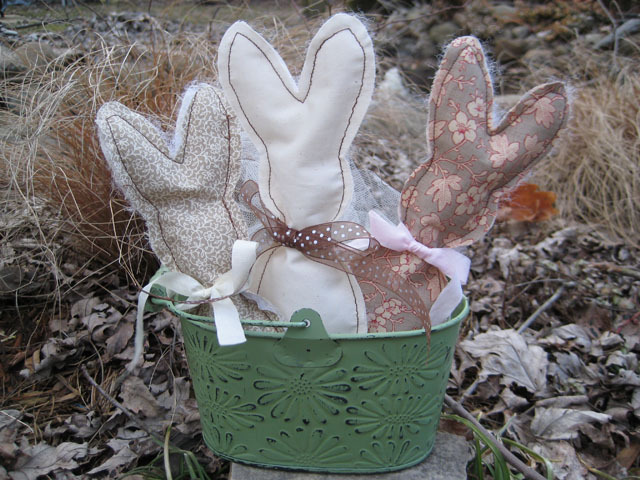 The fabric bunny is one of three that was cut and processed through the Xyron Creatopia with the Stickz Fabric Refill. I then stuffed them, ever-so-slightly, with a tad of polyester stuffing and stuck them together. The Xyron Fabric adhesive holds the stuffing and opposite side into place for stitching. 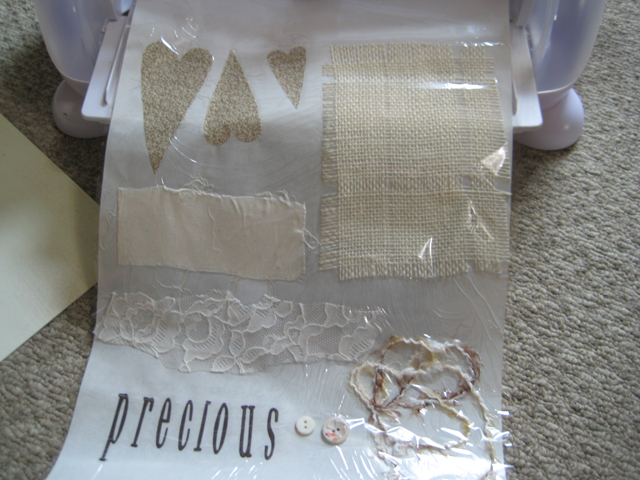 I also cut more fabric hearts, stuffed and stitched and processed the title ‘Precious,’ and the hearts through the Xyron 5″ Creative Station with the 5″ Permanent Adhesive Refill. These were used to decorate a black, framed mirror. The entire collection looks really nice together and would make wonderful gifts as a group or on their own. Projects like these make me realize that sometimes simple really is the way to go! You make simple look beautiful! These are beautiful projects, Linda. How special to use your own daughter’s photo! I love the reminder to use my Xyron machines for burlap and other fabrics. TFS! Wow. These are so beautiful. She really is Precious. Happy Birthday, Rachel! What a beautiful card, layout, framed mirror and adorable bunnies! I hope Rachel had a great birthday! Love your projects, Linda! I have The Creatopia, the 9″ & 5″ Creative stations,the 2 1/2″ sticker maker, The “X” the mega runner, the tape runner & several items for the Creatopia, but I have not tried their fabric adhesive. I really like their adhesives as they work well. Happy Belated Birthday to your daughter. 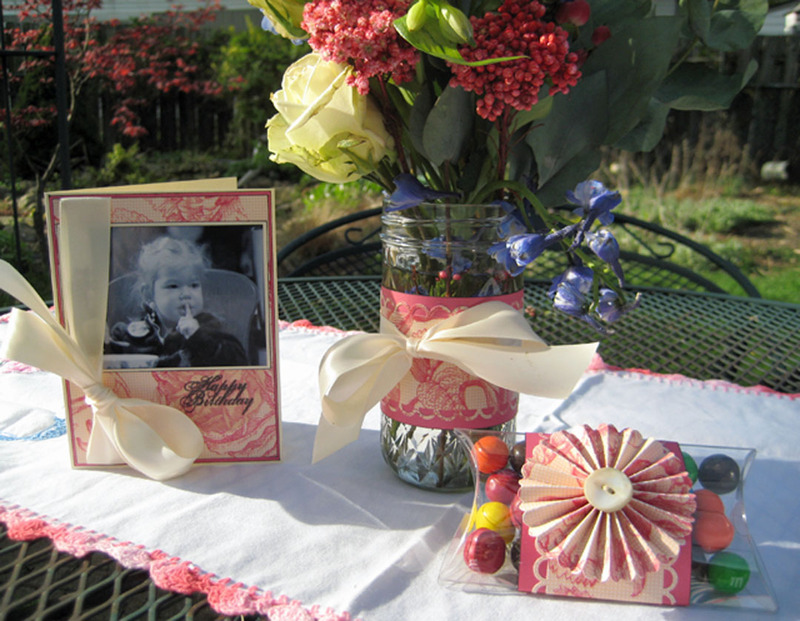 Her mother has captured many lovely memories in projects as I have been seeing your posts for along time. Best Wishes to you all & thanks for sharing your lovely work with us.